Ah, working at home… Visions of leisurely days, conference calls in comfy sweatpants, increased productivity with fewer interruptions. But the distinctions between work life and home life soon blur. You really should throw some laundry in the wash before you write that proposal. You have an hour before a meeting: Should you balance your books or clean the kitchen? And remember to call that client back right after you empty the cat box. Welcome to the real world of working at home: unforeseen distractions, a lack of structured time, and sometimes a perceived loss of identity. But don’t give up the dream just yet! 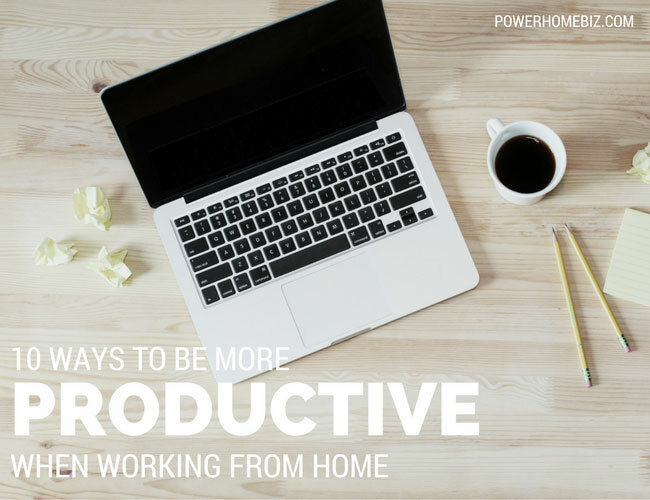 By putting into place a few simple ideas, you can reap more of the rewards of working at home. Based on my experiences and those of my associates, here are 10 simple ways to help you stay on track and be more productive. Keep a separate, distinct work area in your home. (This is especially difficult if you’re living and working in a shoebox studio, like I was when I started my business in New York City!) If you don’t have a separate room, at least define an area, and know that when you’re in it, you’re in “work mode.” Make sure your roommates and family are aware of this as well. As your business and personal time mesh, it’s more important than ever to structure your day. For example, if you regularly take a walk or go to the gym, try to do it every day at the same time. Refrain from indulging in unproductive things such as checking emails and replying to text messages throughout the day. If multi-tasking works for you, then do it. Also, value that personal appointment with yourself – even when you’re very busy. It will actually help you keep your business on track! I like to get up early and work until noon, then I take a few hours off to enjoy lunch, do some reading, and take my daily jog on the beach. Then I’m back at my desk at 4:00 until who knows when! In-person meetings are very valuable when appropriate, but schedule them sparingly. Try to do most of your business via phone, fax, and e-mail using the best equipment you can afford. For most home-based entrepreneurs, when you’re out of the office, you’re NOT making money. So it’s important that you can communicate flawlessly from where you are. And PLEASE do us all a favor and get separate lines/services for your phone, fax, and Internet! No one likes getting a busy signal. Make your workspace off-limits to other roommates or family members when you’re working. For you animal lovers, this may go for pets as well. (My cat Francine gets *very* jealous when I’m not giving her complete attention!) 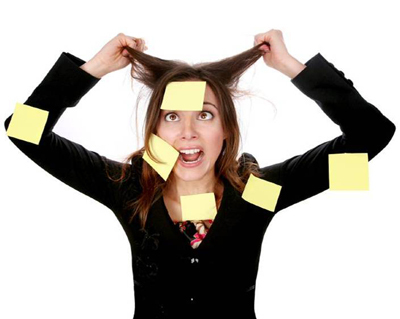 Keep all personal paperwork such as bills and magazines out of sight, so as not to distract you from your projects. Whenever things don’t work out you must search for ways to do it differently. There are many possible ways of approaching situations which don’t come to our mind immediately when we need it the most. Feeling sluggish, lonely, or moody? Arrange for at least one social break during the week. (I aim for two or three.) Schedule breakfast, lunch, dinner, or even just coffee with a client, vendor, or friend. Join a business networking group, or sign-up for social activities such as dance class or recreational sports league. Don’t go into hermit mode – it can be self-destructive! Alexandria Brown’s FREE biweekly e-zine gives “how-to” tips on writing compelling copy for Web sites, brochures, and e-zines. Learn how to ATTRACT NEW CLIENTS and strengthen your customer relationships!